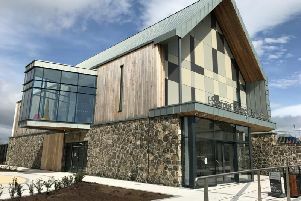 A car being driven without headlights and with a continuously flashing indicator, was stopped by police at Parkmore Road in Magherafelt, the local Magistrates Court heard. Kieran Hoy (33), electrician, of Beechland Drive, Magherafelt, was fined £315 and banned from driving for three-and-a-half years for driving while having consumed excess alcohol on the night of April 10. A PPS lawyer said police spoke to the defendant who smelled of intoxicating liquor and failed a preliminary breath test. She said Hoy was arrested and subsequently provided a breath specimen which showed an alcoholic count of 59mgs. Hoy, who was not professionally represented, said he regretted the incident and asked the court for leniency. District Judge Alan White noted defendant had a previous conviction for a similar offence in the last ten years.